The event was a step ahead to showcase the significant of Kumbh that is regarded as a power source, since the past 3000 years ago. Kumbh derives its name from the immortal Pot of Nectar. Since ages, the Mahakumbh was designed by the great minds to meet and share knowledge as Kumbh became the melting pot of new findings and scientific knowledge that was shared by the saints and later spread across the different parts of the world for the welfare of the living beings. Kumbh is considered as a source of great power and blessings that has been bestowed upon the sages and saints since ages. According to the Hindu mythology, it is believed that in the month of January when Jupiter is in Aries and Sun is in Capricorn, a holy dip in Sangam that is the confluence of 3 great Indian rivers Ganga, Yamuna and Saraswati is very auspicious, that wipes away sins and bestows power, knowledge and siddhi (expertise) to its seekers. 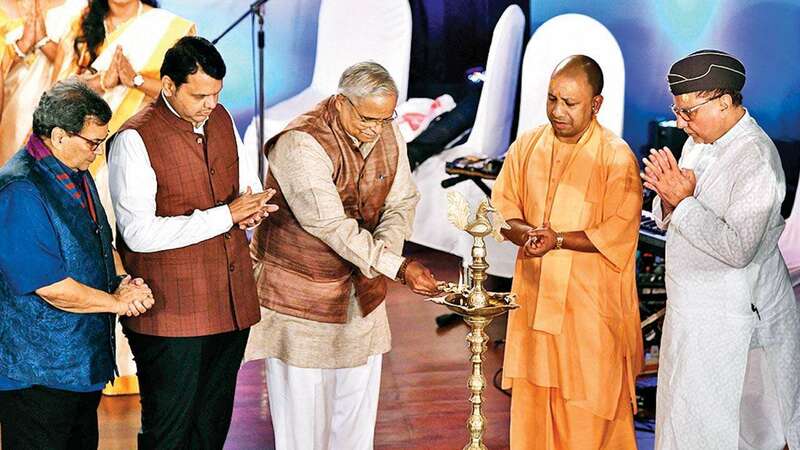 Sanskriti Kumbh was inaugurated in Mumbai by the UP CM Yogi Adityanath, his Maharashtra counterpart Devendra Fadnavis, Rajya Sabha MP and media giant Subhash Chandra, film industry veteran Subhash Ghai along with Senior RSS leader Bhayyaji Joshi. The event also saw the release of two books — ‘Sanskriti Kumbh’ and ‘Mahakumbh Avem Sangam Snan’.